THE offense just came as a bonus for Ed Daquioag. Tasked to primarily put the cuffs on Paul Lee, Daquioag found his range too, and didn’t hesitate to take shots in Rain or Shine's 93-80 blowout win over Magnolia on Sunday in the PBA Philippine Cup semifinals. Daquioag finished with a game-high 19 points, 17 of them in the middle quarters as he more than filled the void left by the injured Maverick Ahanmisi. He was 6-of-11 from the field and made three of his five attempts from three-point range in a fitting follow-up to his notable 10-point showing in the series opener. The 27-year-old native of Dingras, Ilocos Norte led the Elasto Painters' bench mob as he combined with Norbert Torres, sophomore Rey Nambatac, Mark Borboran, Kris Rosales and rookie Javee Mocon in taking the pressure off Rain or Shine's starters. The former University of Santo Tomas standout said he simply took what the defense of the Hotshots was giving him. To be clear, Daquioag said his role for coach Caloy Garcia was to play defense and fill in whatever gap is lacking within the team. “Siguro kung ano yung puwede kong punan na kulang sa team, katulad kanina sa depensa, naka-focus ako kay (Paul) Lee,” he said. 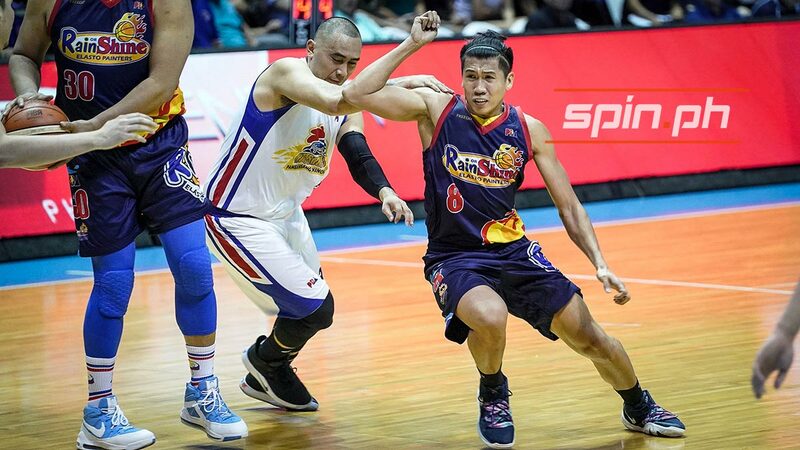 The Elasto Painters are now leading the best-of-seven series, 2-0. Game 3 is set on Tuesday also at the Smart Araneta Coliseum before the league takes a break in observance of the Holy Week.